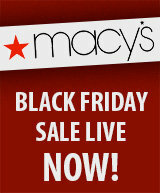 Macy’s Black Friday Sale is now Live! 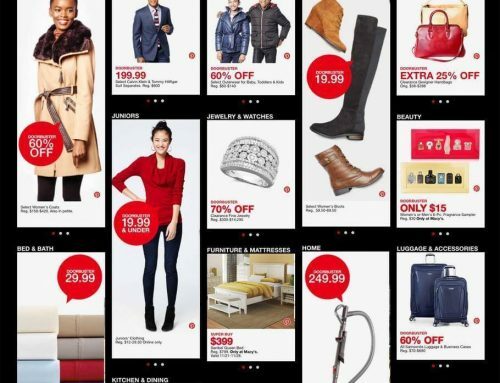 Macy’s has thousands of Black Friday deals on its website but some are in limited quantities so we suggest checking them out now so you don’t miss out. The department store is offering free shipping on website orders over $50 and they have additional promo codes for extra savings. Use promo code “FRIDAY25” to get $10 off $25+ or “FRIDAY50” for $20 off $50 sale and clearance items (exclusions apply). 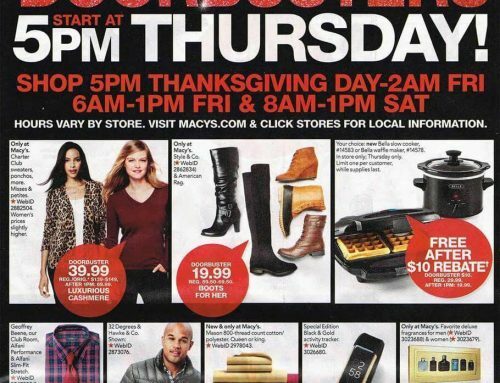 Be sure to go check out the Macy’s Black Friday Sale or review our Macy’s Black Friday 2016 Ad for a complete list of all the deals!